Numbers measure the main difference between a mortgage company and a bank. A mortgage company can provide a number of mortgage options that a bank cannot. A bank, on the other hand, can offer a sense of customer service beyond what can be found behind a toll-free number. Each has advantages that can mean saving thousands. A mortgage company is a middle man. It works as a broker between the borrower and lenders. It will get you what is known as a wholesale mortgage by shopping your application around to numerous large banks. The one offering the best rates in the one that gets to offer you the loan. Often, a mortgage company can get you a mortgage with a lower rate than at a local bank because the bigger banks have a large enough volume of low-interest mortgages on the books to turn a profit. Some mortgage companies also have deals with these banks to drive business to them. This, too, can assist in driving down the costs to someone looking for a mortgage, but a mortgage with a big bank could mean dealing with the website or toll-free number for service issues. A bank is the first place a lot of people go to for a home mortgage. Often they are already familiar with the bank and the bank is familiar with them. This familiarity often influences the customer service expectations. Your local branch offers what are known as retail mortgages, a soup-to-nuts strategy that includes origination of the mortgage, funds for the mortgage, and often servicing of the mortgage. As far as mortgage holders are concerned, a retail mortgage is really no different from its wholesale cousin. They still have to write a check in the end. There is that cozy local feel as a benefit -- the ability to pay at the teller line, or waving a greeting to the person who originated your mortgage while you're making a deposit. Also, some banks will offer better rates or a reduction of closing costs to customers who have large accounts with them, but that is not always the case. According to the website The Mortgage Professor, it is always a good idea to shop around to see if the bank a little further down the street can offer you a better deal. What Does It Mean If a Bank Calls Itself a Mortgage Lender or Broker? What Banks Do FHA Loans? A mortgage company has the ability to shop around for a good deal. They are usually the place to go to if your financial picture is a little sketchy. This is because they know the lenders who are willing to lend to people with a not-so-brilliant credit score. 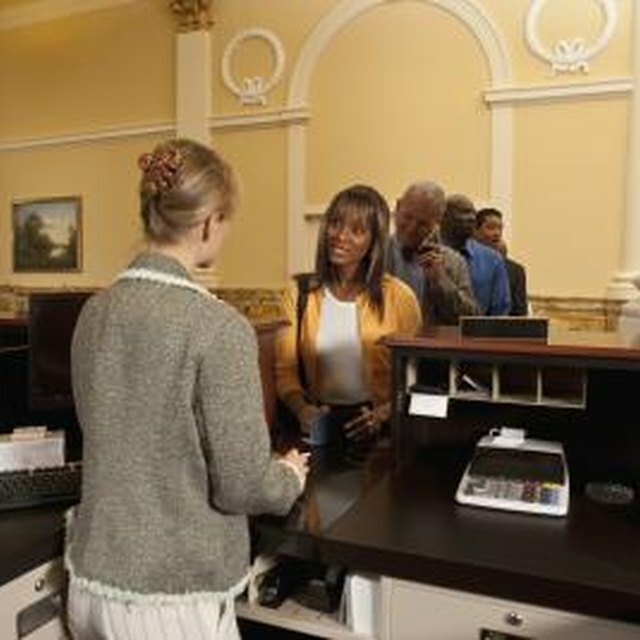 A bank often has stricter rules in terms of financial qualifications. You might experience a paperwork overload at a local bank, as well as a good dose of bureaucracy, because the bank wants to be sure of every detail before lending out the money. According to a Bankrate article, finding the best mortgage may mean going to a bank and to a mortgage company. The goal is to find a professional who will look out for your best interests, not theirs. One thing to do is to bank on the knowledge of your real estate agent. They are easier to trust because it is illegal for them to get kickbacks from loan officers. It’s not illegal, for example, for a mortgage company to find a mortgage that benefits them more than you. Mortgage Cents: Local Banks Vs. Mortgage Companies -- Which Is Better?